This high protein food is free of grains, wheat, soy protein, corn gluten meal, and artificial colors, flavors, and preservatives. 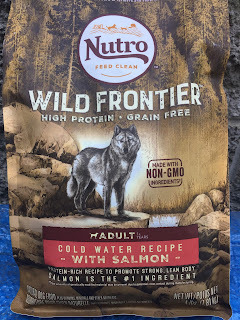 We prefer grain-free foods like this because they are generally better for your dog and there's a decreased chance of food allergies or sensitivities. The top ingredients in this formula are salmon, chicken meal, chickpeas, fish meal, dried potatoes, and peas. As always, we like when the first ingredient is real meat (and so do the pups!). And bonus points that the ingredients are non GMO. The only thing that's of note in the usability area is the bag. It says easy pour spout, inferring that when you open the bag you'll have an opening to pour the kibble from. If that's supposed to be the case, it wasn't clear how it worked. We cut it and even looked at the bag's seams to figure out how it worked, but we couldn't figure out how it was supposed to work. The kibble itself is a good size; appropriate for smaller or larger dogs. Made in the good old U.S. of A. Something noteworthy here is that this product is produced in the manufacturer's own facility so that should help ensure added safety and quality control. 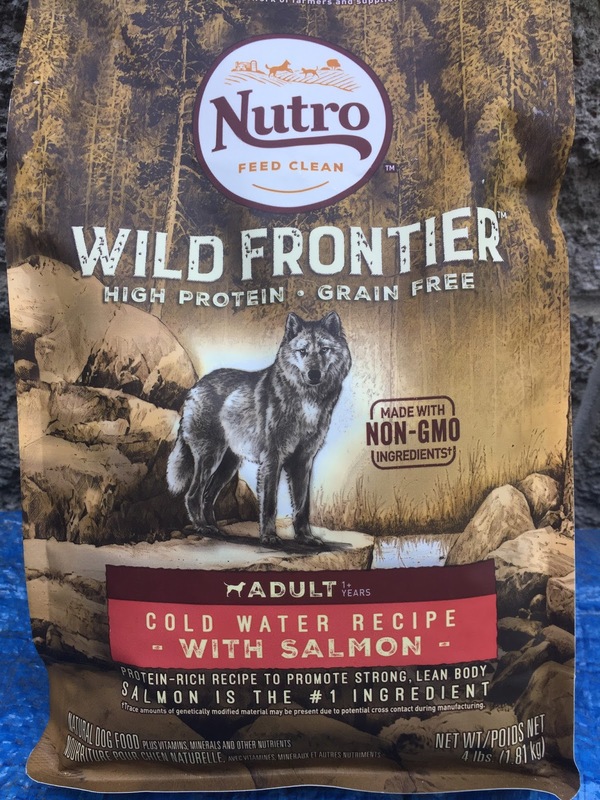 A 4-lb bag of the Nutro Wild Frontier in salmon flavor is $17.09. The next size up is 24-lbs and is $52.19. As always on chewy.com, you get a discount when you sign up for auto shipping. The pups ate this food, however it wasn't necessarily a hit or a miss. The dogs didn't turn their noses up at it, but they didn't eat it enthusiastically either. That said, we'll give the Nutro salmon three paws up. It does come in other flavors (including chicken, lamb, and also venison meal), so we'll give those a whirl and see if those are a better match for the sophisticated palates over here at taste test headquarters.